"Nature (was) telling him something about the conditions of the ecosystem"
NYSF 2019 Session C students were on the road again for a STEM visit to the Mulloon Institute, a not-for-profit organisation aiming to restore the natural landscape, while running a 23,000 hectare farm using natural materials and holistic agricultural and land management practices. Exiting the ACT and bumping along a dirt road through the countryside students were greeted in the morning heat by Research Coordinator of the Mulloon Institute Luke Peel. Mr Peel dove straight into stories and information and within minutes it was clear to the students that Mr Peel knew this land inside and out. On the walk to the Mulloon Creek Mr Peel analysed the landscape, explaining to students the reason for an outbreak of blackberry bushes (not weeds, but 'pioneer plants' in his eyes) and the function of a flood plain adjacent to our path. Where the group saw a thistle, Mr Peel saw ‘functionality’, nature telling him something about the conditions of the ecosystem. 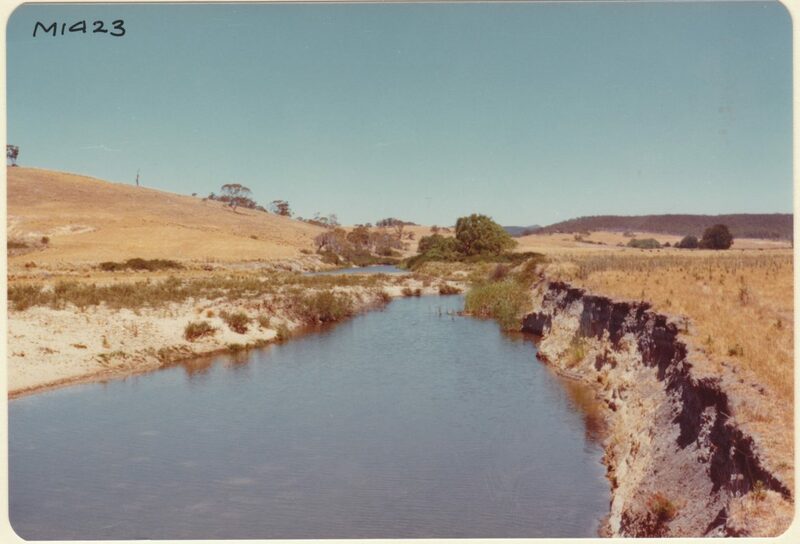 Mr Peel spoke often of this functionality, impressing upon the students the importance of ‘bioengineering, not civil engineering’ and illustrated the effectiveness of this mantra at one of the many leaky weirs where soil had been compacted around a river bed to slow the movement of the water in the creek, reducing the devastating effects of erosion. This may seem to be a small change but the addition of these leaky weirs along the creek has had phenomenal results. 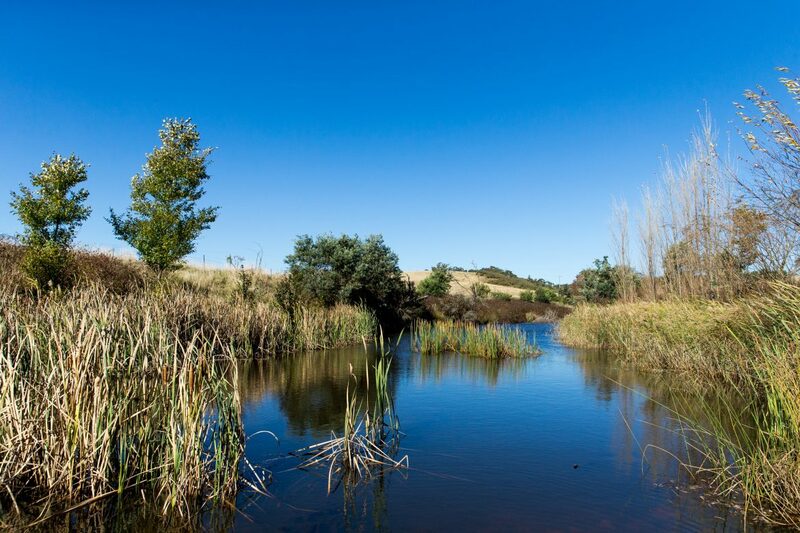 The biodiversity of the creek has increased with native species returning, many of which are vulnerable species. The Mulloon Institute has collected over 20 landholders over their area of 23,000 hectares to use these regenerative agricultural practices which favour sustainability over immediate productivity to provide their land with resilience to drought. In fact they may not even have to forgo immediate productivity as research at the Mulloon Institute has shown an increase in productivity of 60% on their land through these sustainable practices. ‘I was so impressed by these simple but innovative ideas to naturally increase production and minimise their impact on the environment’- Sam from Bundaberg. 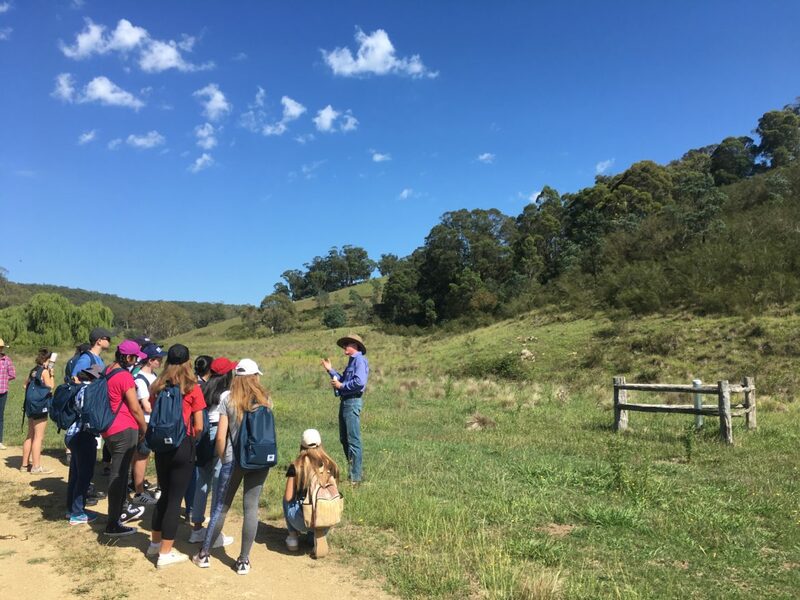 After a well needed lunch and a rest in the shade of the 'natural air conditioning units' (trees) NYSF students travelled to the nearby Mulloon Creek Natural Farms. The natural farm provided the students with another example of what the Mulloon Institute believes the future of farming should look like. 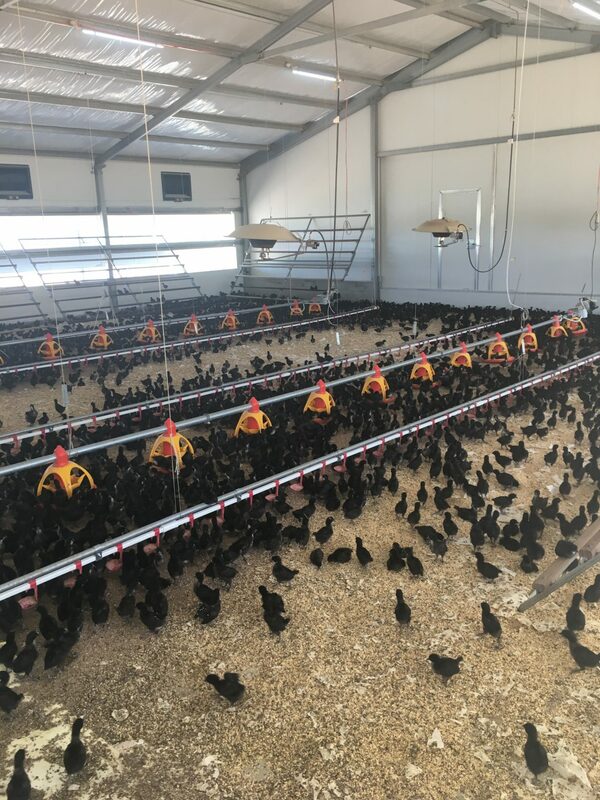 Their production mainly focuses on chicken eggs but unlike conventional free range egg farms (where each chicken is afforded one square metre and produces on average of four eggs per day) the Mulloon Farm contains only 250 chickens per hectare (10,000 square metres). The eggs produced by these 'happy hens' are also organic and NYSF students saw the positive result of such methods during the tour of the egg packaging facility. Mulloon Creek Natural Farms find their chickens regularly producing eggs of 90g compared to the standard 50g which also boast higher nutritional value. The tour of the farm also concluded with a visit to the new group of chicks that the farm are preparing for the paddocks and a quick trip out into the paddock to see the current flock . Wrapping up the day, Mr Peel asked the students for some reflection and it became clear that the day's activities had challenged many of the students' views on effective farming measures and had introduced them to a whole new area of research and study. One common response in the students' feedback was the excellent way in which the day had been presented. Mr Peel's passion and belief in these agricultural techniques was truly felt by the students.